Your car is important to you and keeping it running properly is vital to your Mission Viejo lifestyle. That’s why you’re smart to have it serviced regularly at Autobahn West in Mission Viejo. And even though it may just be routine maintenance, you want it done right by automotive professionals. It’s also very important to your Mission Viejo service center to keep you happy and on the road. You might be surprised at the amount of money our Mission Viejo auto service center spends annually to make sure our understanding techs are properly trained. Autobahn West offers a variety of automotive services for many kinds of vehicles. We need to be current on the latest techniques and parts so that we can give you quality service. Our Mission Viejo centers subscribe to data services that list the high quality parts and fluids recommended by your manufacturer. And each service has a checklist of standard procedures. Autobahn West technicians follow these procedures so they can safely deliver a consistent level of high-quality service. Some services at Autobahn West require the use of specialized equipment. Autobahn West technicians are trained extensively on this equipment so that they can service your car quickly and efficiently. Classroom, video and hands-on training is provided by the company and outside trainers. It’s not only important that understanding service advisors be able to perform a given task, they also need to be thoroughly trained in inspection and diagnostic techniques. One of the great services they perform is to detect potential problems before they become serious (and costly). The automotive service industry has standards for classifying and communicating problems to car owners. For example, it’s one thing to learn that your manufacturer recommends that you change your serpentine belt every 30,000 miles and another to learn that the belt is on the verge of failure. These standards help you understand the urgency of recommendations, letting you make better automotive service decisions. CA folks may be interested to know that service technicians (including those at Autobahn West) are trained in compliance with federal and local Mission Viejo laws and regulations, including environmental regulations regarding the disposal of used parts and fluids. It’s the goal of Autobahn West to provide fast, courteous service. You should feel free to ask your understandingtech or one of the managers about your service or for more information about their recommendations. At Autobahn West, well-trained service providers, established procedures, industry standards, and, of course, AutoNetTV, combine to give you the best auto service in Mission Viejo. Do you ever shop for shoes in one of our Irvine area shoe stores? When you choose new tires in Mission Viejo, what’s the most important factor for you? Give us a call at Autobahn West at 949.525.9730 for tire recommendations. You know, buying tires in Mission Viejo is a big deal. It’s a big ticket item so you know you’ll be spending a lot. You’re not only concerned about the price, but you want to know that it’ll be a long time before you need to buy new tires again. Today we’re going to be talking about serpentine belts for our Mission Viejo, CA customers. Let’s start by talking about the accessories that are driven by the serpentine belt. First is the alternator. That’s the vital device that makes electricity to power the pickup and recharge the battery. Then there’s the air conditioning compressor that makes cool air for you while you’re driving around CA in the summer. The power steering and power brake pumps are driven by the serpentine belt in most Mission Viejo motorists’ vehicles. Those pumps provide critical pressure that assists your steering and braking. In many pickups, the water pump is driven by the serpentine belt. The water pump is what circulates the coolant that protects your engine. In some cars around Mission Viejo, CA, the water pump is driven by the timing belt. The radiator cooling fans on some pickups are also driven by the serpentine belt. Some have separate electric motors. That’s really a lot of critical work for one belt. But modern engine design has a single belt that snakes around the front of the engine and drives most if not all of these accessories. Serpentine belts do a lot of essential work, but they’re tough and can last Mission Viejo car owners for thousands of miles. Just how long will they last? That’ll vary for each individual car in the Mission Viejo, CA area. Your car maker will have a recommendation for when it should be changed, but it could need it sooner. The good news is that a visual inspection at Autobahn West can detect a belt that’s getting close to failing. Your understanding Autobahn West technician can look at the belt: if it has more than three or four cracks per inch, it needs to be replaced. A deep crack that’s more than half the depth of the belt – replace. Frayed, missing pieces, a shiny glazed look? Toss it. What’s involved in replacing the belt at Autobahn West? First the old belt is removed. Then a new one is fitted around all the pulleys for the accessories and the drive. There’s a special pulley called a tensioner. This pulley is mounted to the engine block with a spring loaded arm. Its critical job is to apply the correct amount of tension to the belt to keep it from getting loose and maybe slipping off. Because the spring in the tensioner pulley wears out, AutoNetTV and the automotive professionals at Autobahn West recommend Mission Viejo motorists replace them at the same time as the belt. It just makes sense. What are the warning signs that there’s a problem with the serpentine belt? You may hear a squealing sound from under the hood when accelerating around our Mission Viejo streets. A loose belt might give you a slow, slapping sound. What do you do if your belt breaks? If you’ve actually had that happen on a busy Irvine highway, it can be a little scary. The first thing Mission Viejo drivers usually notice is that they have no power steering or power brakes. Don’t panic – you can still steer and brake, but you’ll have to do the work. It’ll be harder to steer and you’ll need more time and effort to stop, so plan accordingly. Your dashboard will light up will all kinds of warnings. You’ll see a warning about your cooling system if you have a water pump that’s driven by the serpentine belt. This is vital because without your cooling system working, your engine will overheat. If you don’t stop you’ll have massive engine damage, maybe to the point that you need a new engine. Open your windows and turn the heater on full blast to provide a little engine cooling. Pull over as quickly as you safely can! The battery light will come on because the alternator isn’t working. If your car’s water pump isn’t driven by the serpentine belt, you’re not in danger of overheating so you can drive a little further if necessary. But the battery will run down to the point where the car will just shut off. You don’t want that to happen while you’re driving in our local Mission Viejo, CA traffic. Remember, Mission Viejo car owners can avoid this stressful scenario if they replace their pickup serpentine belt on schedule. Ask your understanding Autobahn West technician to check your belts and hoses from time to time so you can take care of them if they need to be replaced prematurely. So you love your job, and your family life is great. Congratulations! You have achieved balance. But can you say the same for your wheels? Mission Viejo car owners can tell if their tires are out of balance by vibrations at higher speeds on CA highways. If one of the front tires is out, you feel the vibration in the steering wheel. If it’s a back tire, you’ll feel the vibration in your seat. Tires and wheels are pretty heavy. When a tire is mounted on a wheel at Autobahn West, it is usually not perfectly balanced. So the service advisor will spin the tire on a machine to determine where it’s too heavy. He will then place weights on the wheels in strategic locations to balance it out. When a tire is out of balance, it actually bounces down the road instead of rolling smoothly. Since the average size tire rotates at about 850 revolutions per minute at 60 MPH, it is actually slamming into the pavement 14 times a second. That’s where you get your vibration. Most Mission Viejo car owners are surprised at how smoothly their car rides after balancing all four wheels. Most high-quality tires sold in Mission Viejo hold their balance pretty well for car owners. They just get out of balance gradually with normal wear and tear. If you suddenly feel a vibration, it is probably because you lost a wheel balancing weight along the way. Definitely get a balance at Autobahn West in Mission Viejo if you feel a vibration, change your rims or have a flat repaired. Putting off a needed balance job leads to excessive and dangerous tire wear, wear to your shocks, struts, steering and suspension parts. Wheel balancing not only improves your ride and handling, but also can save you some pricey repair bills and possibly an accident. Additionally, you will get better MPG. Some Irvine auto owners have their tires balanced at every rotation. Others do it every other time. Check your owners’ manual for your requirements, or ask your understanding Autobahn West service professional. Doing this will put you on the path to mechanical wheel balance. Tires do a lot of important work for Mission Viejo auto owners. They transfer engine power and braking forces to the road; they handle steering control; and they cushion all those bumps and jolts while driving around Mission Viejo. They also support the entire weight of the vehicle, including you and your passengers. With such critical work to do, you want your tires to do their job well. And since replacing tires is fairly expensive, you want them to last as long as possible. Also, there are different rotation patterns for different vehicles. Autobahn West will know which is right for your vehicle. That brings us to wheel balancing. When wheels are balanced, they spin on the axle evenly. When they are out of balance, they wobble a bit. That makes the tires wear unevenly and may transmit a vibration to the car. Your understanding Autobahn West tech puts weights on your wheels to balance them out so that they turn true and smooth. Tires are a big investment for Mission Viejo auto owners. They’re vital for keeping you safely on the road in Mission Viejo. 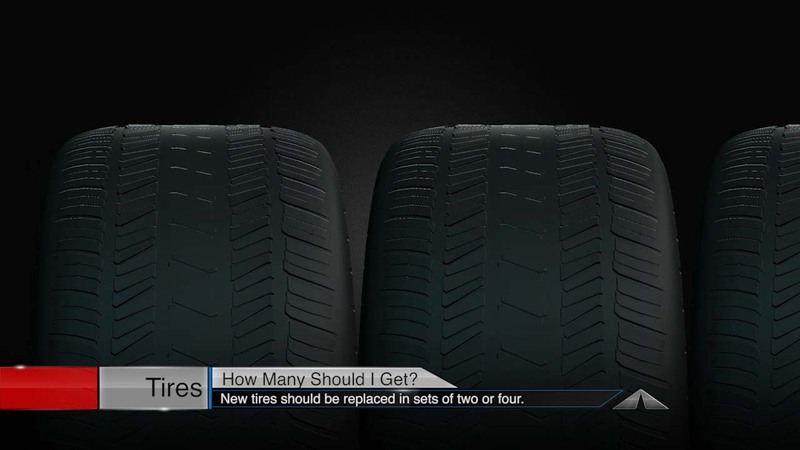 The cost for regular rotation and balancing is more than made up in extended tire life. And, can you really put a price on your safety and that of your passengers?